Three years ago we visited with Caregivers and Orphanages across Romania who see first-hand the effects malnutrition can have on young children. Thousands of children in Romania receive less than three servings of fruits and vegetables a year. And because poverty levels are so high, some parents are forced to steal to provide for their families. Unfortunately, nutrition isn’t a priority when searching for food. They’re grateful for whatever they can find. 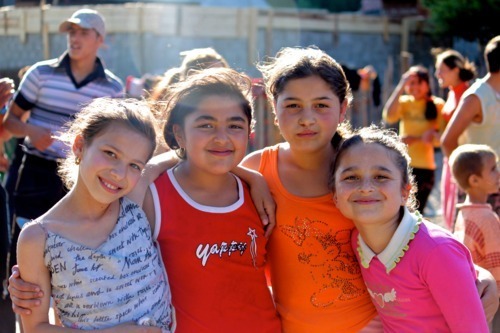 We’ve provided nutritional support to thousands of children in Romania throughout the last twelve years. Despite our best efforts, support was limited to the donations we received. We realized that without consistent donations, we couldn’t provide the on-going support that was needed. Our founder Sam Caster said it best, “The only thing worse than not being able to give a child nutrition is to give it, and then be unable to continue.” We’re fortunate to have the best technology to fight malnutrition and privileged to partner with more than 800 organizations to distribute nutrition to children in need. Too often, our only limitation is adequate funding to meet the need. Gratefully, that’s no longer the case for more than 1,000 children in Romania. Hundreds of donors answered the need by giving monthly to ensure a consistent supply of nutritional support. We are incredibly thankful for the response we have received. In June, we sent our third shipment to Romania that will provide enough nutrition for more than 1,000 children for twelve months. In just these last three years, we’ve provided 1,354,648 servings of proper nutrition to more than 1,500 children in Romania.